Short of doing it myself, I can't seem to find an adequate fix for my phone. 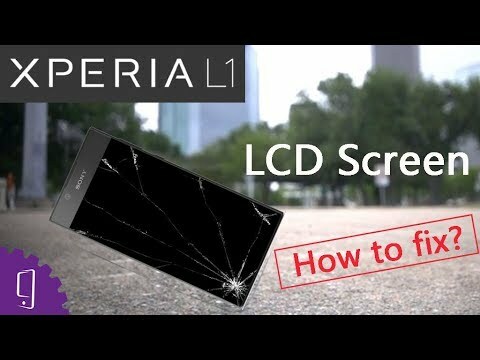 I cracked my screen on my Xperia L1, my insurance is asking for a £100 excess (if the repair is in fact that much or more) another shop says £95 and many others do not do repairs on the Xperia range. Brand New these are £120 so it seems excessive to spend that much on a repair when I may as well get a new one. I'm not really willing to spend a huge deal of money like this. Does anyone know of a place that'd fix this cheaper (i.e Timpsons) or a possible workaround in general? Reading area if anyone needs to know. Well I thought that was implied in what I'd already wrote, it was more a question of other peoples experiences and if they know their prices compared to other known repair specialists. My bad if it was vague. Well I thought that was implied in what I'd already wrote, it was more a …Well I thought that was implied in what I'd already wrote, it was more a question of other peoples experiences and if they know their prices compared to other known repair specialists.My bad if it was vague. Sounds like it's just a straight swap of the digitizer which are normally quite easy to replace. Sounds like it's just a straight swap of the digitizer which are normally …Sounds like it's just a straight swap of the digitizer which are normally quite easy to replace. If only I was technically savvy! £100 excess? might as well not have the insurance, I hope you are not paying for it. £25 on nationwide flex plus. Is the screen broken (non functional) or just cracked? If it still works I'd just put a glass screen protector over it until you are ready to upgrade. £100 excess? might as well not have the insurance, I hope you are not …£100 excess? might as well not have the insurance, I hope you are not paying for it. £25 on nationwide flex plus. Is the screen broken (non functional) or just cracked? If it still works I'd just put a glass screen protector over it until you are ready to upgrade. It's via my work thankfully! Unfortunately it's pressing onto the digitiser or I'd not really care. I can't even unlock it to back it up.